SKU: BIO30460. 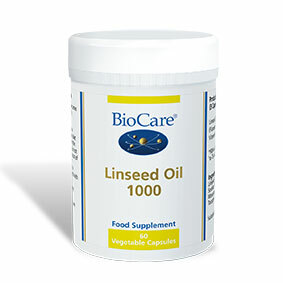 Category: Linseed Oil (Flax). 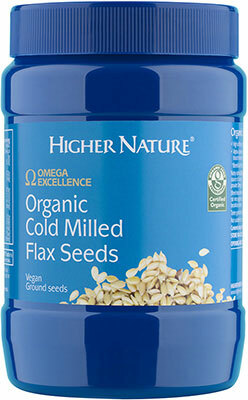 One to three capsules taken daily with food or as professionally advised. Allergens: None. Suitable for Vegetarians and Vegans, Suitable in Pregnancy and Breastfeeding. Ingredients: Linseed Oil, Capsule Shell (Potato Starch, Sorbitol, Maltitol, Glycerol, Emulsifier, (Glyceryl Monostearate), Vitamin E (As DL-Alpha Tocopheryl Acetate). Not suitable for individuals taking anti-blood clotting medication such as Warfarin, Heparin or Coumarin.